The learning is going very well, and I am definitely keen on continuing with the learning by enrolling in future units at Balai Bahasa. I think Pak Ari is a great teacher and very, very friendly. He encourages us to email him with any questions or queries and, in my experience, has always been quick to respond. He also creates a relaxing atmosphere in class which makes me (and I’m sure the other students too!) look forward to attending every week. I honestly can’t think of any ideas to improve the classes – It’s been a great experience for me so far. I could not imagine a better introduction to learning Indonesian. Ibu Hara is endlessly patient and very encouraging to all students, whilst also managing to inject humour into each class. It has been a great experience. I was going to say we should try and do more conversation and then last week that’s exactly what we did – lots of conversation. So I’m really happy and hope It continues like this as I’ll definitely be back for more! Learning the language is just the start. Thanks for the classes with BBIP. I have truly enjoyed them over the past couple of years and have come a long way with my Indonesian which has in turn fuelled my interest in getting involved in bilateral relations between Indonesia and Australia. Thank you so much to everyone who manages the organisational side of things and to your wonderful teachers. Absolutely love my BBIP classes, they have given me so much more than I had ever thought when I just wanted to learn a little bit of Indonesian for my holidays in Bali. The conversation class with Ibu Amanda is probably one of the best conversation classes I have ever attended, primarily because she always speaks in Indonesian, even to explain things. I love that there is a combination of new and challenging vocabulary and that she doesn’t bring her level of conversation down for students but rather requires that they rise to her level. I think the structure of the course is very good and Hara is an excellent teacher. Quizlet is very useful. Overall I am very happy with the course and plan to continue ideally with Hara as the teacher!! Attending Ibu Amanda’s Bahasai Indonesia class has been a valued and very rewarding experience. Ibu Amanda has made classes most interesting, challenging and fun. Ibu Amanda’s style is both warm and friendly, and well informed. She encourages students to engage and participate in a manner that actively promotes learning in a friendly but professional environment. I can only say that I whole heartedly recommend the Balai Bahasa Indonesia Perth courses to anyone, and I know I speak on behalf of all my fellow students, when I say thank you to Ibu Amanda, for giving us all the benefits of your knowledge and that we look forward to seeing you next term. We just wanted to say how much we enjoyed Ibu Noni as a teacher. She is so enthusiastic and passionate and lots of fun. We’d love to have her again next term if you can convince her. Loved chatting with this little eight year old Dayak girl. She was very shy and probably a bit frightened of me. I felt privileged that after our little chat she was happy to have her Mum take this photo with me…Without the work of BBIP I wouldn’t have been able to chat to her or even have been there. 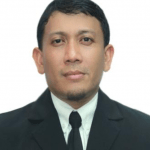 BBIP developed my love and interest in the wider Indonesia…. such an enchanting country. Thank you!